Here’s how to tell if your tooth’s actually dead. Of course the easiest way to know if you have a dead tooth is to get regular check-ups at the dentist. The dentist can tell you if the tooth is dead, what your options are and possibly how it died. A simple way to check your tooth for life is to put an ice cube directly on it. If you feel the cold feeling in the single tooth you’re concerned about, then it’s not dead. A dead tooth won’t have feeling. If your tooth doesn’t have feeling and isn’t discolored yet, make an appointment to see the dentist right away. Dead teeth tend to discolor at some point. They discolor because the living nerves and blood inside the tooth die and no longer provide fresh blood and oxygen to the tooth. The tooth will either turn yellow or darken. If you see your tooth begin to change colors, you need to get into the dentist. It’s possible for the tooth to begin swelling at the gum-line after the pulp dies. The swelling will produce soreness and needs to be treated right away. The swelling is caused by an abscess at the root of the tooth. An abscess is kind of like a pimple under the skin, it’s filled with pus and can infect the blood stream. If it pops, it can create a sinus tract. A sinus tract is the medical term for a channel that goes from the abscess to the surface of the skin. If the abscess ruptures and a sinus tract forms, the abscess will ooze pus into the mouth. This will cause a terrible smell in the mouth. There are two options for dealing with a dead tooth: root canal or extraction. add a post into the root of the tooth for additional support. This is referred to as a post build-up. In these cases, it is also necessary to put a crown on the tooth. 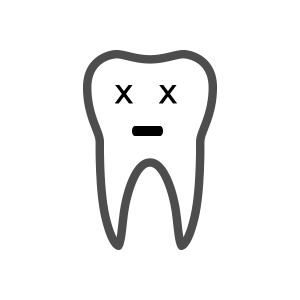 If you opt for an extraction, the tooth will be removed. This is a less expensive solution initially but down the road you will definitely want to replace the tooth. Dental implants are the best way of adding a natural-feeling tooth to an empty spot. You will not even notice that your tooth is not the original. Naturally, the doctor’s priority is to try and save the original tooth. Depending on the severity of the infection, this might not be possible. 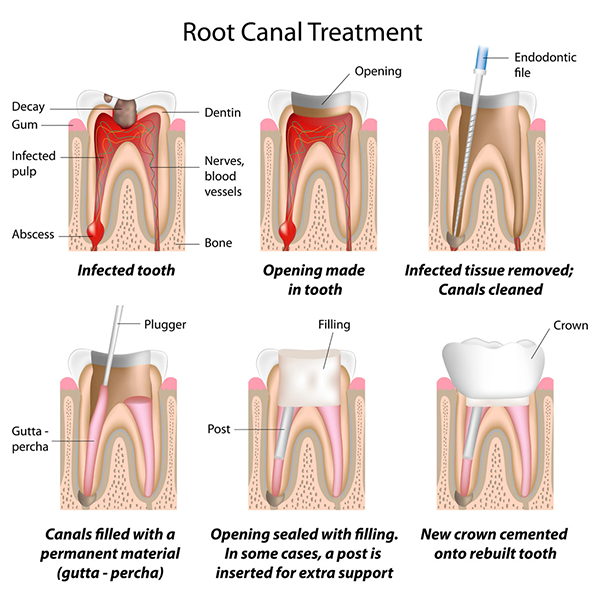 Root canal treatment expects a full recovery of the infected area and will be treatment planned if possible. Clearly the best way to avoid any kind of pain in your mouth is to check-in regularly with your dentist. I have a dead tooth and I’m worried the root canal will break my tooth. And if that happens will my dental surgeon be able to fix on the spot. He’s putting two fake teeth in temporary. While I wait for my crowns to be made. How long do I sit in dentist chair with my mouth open for this procedure. Hi Teresa, a root canal won’t break your tooth. Typically an X-Ray is taken to assess the damage to the tooth and its current state (if it’s fractured or any other problem). Your visit might take about an hour to an hour and a half. Of course you won’t have your mouth open the whole time, there will be time spent creating the temporary crowns, etc.